Mondo vs. Monkey: Which is right for you? Have you ever seen those little tufts of pretty grass surrounding a tree bed, or maybe a stone fence? Did you know what it was? You are not alone! 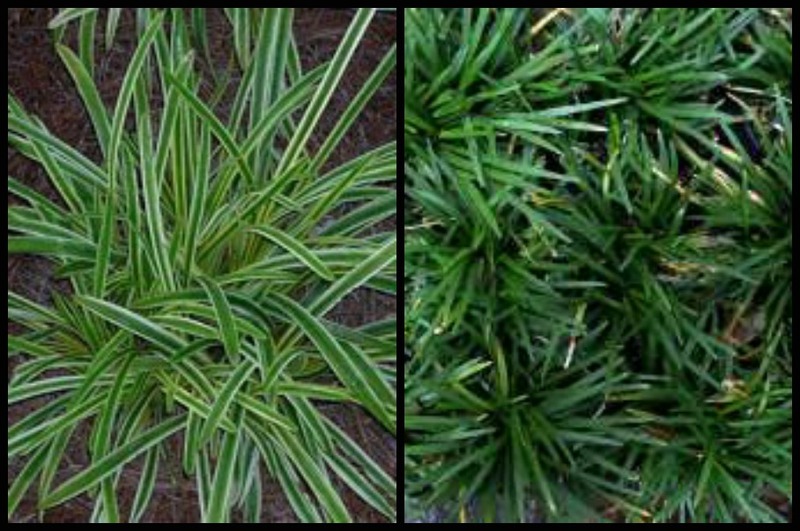 Monkey grass and mondo grass are very similar looking, and can be great ground covers. They are actually members of the lily, not the grass family. While both can be used as ground cover, they make excellent borders around tree beds, and cut down on the amount of lawn you mow. There are marked differences between them, although at first glance, they may seem like the same thing. Let’s explore those differences by comparing them! Monkey grass, also known as liriope, pronounced [luh-rahy-uh-pee], is a plant we sell a lot of here at Hutcheson Horticulutral, but many people have never heard of it, or simply do not know what it is called. Liriope is noticeably larger, with wider leaves, and is also more hardy during the winter. 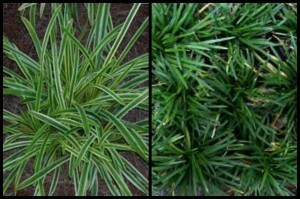 Mondo grass grows in clumps, but do not be fooled! This lily sends underground “runners” that spread laterally to fill the surrounding area. The basic type grows to around eight inches in height, but the leaves tend to slant downward, making it look even more full than it is. This is a very drought resistant plant, making it ideal for Georgia! Whichever lily you decide to go with, make Hutcheson Horticultural your place to get them! We have several choices of each, and would be happy to purchase and install your preferred plant! We have a warranty on all of our products and our work, so you can rest easy knowing everything will be taken care of by a friendly, and knowledgeable horticulturalist!